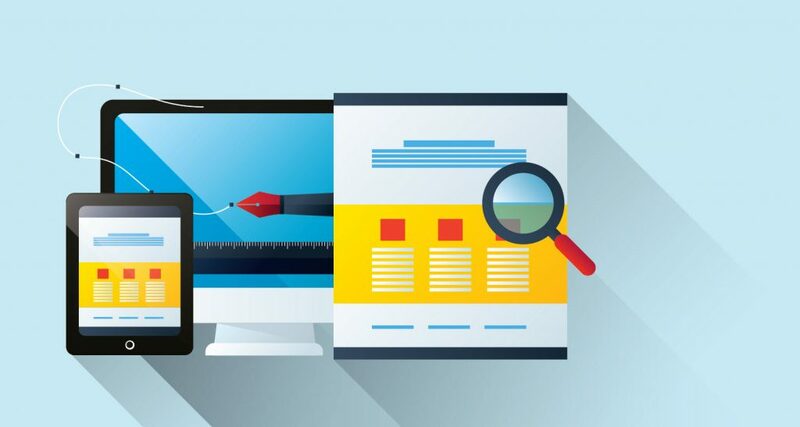 Using a good website crawler can greatly increase the quality of your site as they offer a wealth of uses from checking for proper re-directs to monitoring performance. Even better, some of the best website crawlers don’t cost anything at all and do just as good of a job as paid options on the market. And you’re always welcome to do a free website audit here at Punch SEO. Sometimes known as web scraping, a web crawler can really help search engines discover your content. Using the right tool can not only clean up your site but also make sure the likes of Google know how to find you. Your content might already be great, but something could be standing in the way of it generating the right traffic. If your site can’t tell search engines that you have what they are looking for, your content could be ranking unnecessarily low. With a web crawler, you can influence how search engines will define and find your content by making sure things like your links and HTML code are up to date. Web crawlers can help you gather massive intel on competitors in less time, as well as crawl your own website for analysis. The best free website crawlers can also analyze the behavior of your site visitors. Maybe you are getting a lot of click-throughs, but not so many purchases. A web crawler can help you to find out why this happens, so you can begin testing potential fixes—you can even compare results from said fixes. Sometimes, a little extra goes a long way. Still, in the case of free products, doing the basics right is a good start. So, what are the basics for a web crawler? A basic web crawler can gather the data you need for analysis, as well as help you to conduct some market research along the way. Beyond these basic functions, you just want to look for other features that make the product better than its competitors. For example, a web crawler that can help you to identify duplicate content on your website. Google punishes duplicate content, but at times, you may be unaware it’s on your site. Say, for example, Google is indexing the same page under two URLs. A web crawler that goes beyond the basics is an easy way to discover and diagnose these issues. Additionally, you want a web crawler that has less of an impact on your servers. Since some crawlers are set to do their job too frequently, they can make your site slower than it should be. The best web crawlers will be customizable making it easier to find the right balance. Finally, a good web crawler will also help you run price and pageview comparisons on other companies in your niche to make sure you are competitive. The above are just a few examples of what constitutes a good a web crawler. Wondering what brands offer all the above? No worries, we’ve rounded up a collection of the best free website crawlers for you. Only available on Windows, the WildShark web crawler may be basic compared to some other options on our list, but it offers a solution for anyone who only wants to tidy up their site. This web crawler does require you to fill out a form and subscribe to WildShark’s mailing list, but beyond that, it is free to use. 80Legs is one of the better companies out there. Their services are even used by the likes of MailChimp to prevent spam. 80legs is an excellent choice because you can use their cloud-based platform which saves you running costs. Through their platform, you can perform a giant web crawl where you can even collect keywords. Though the free version is limited, you can only run one crawl at a time, and it is limited to 10,000 URLs per crawl. None the less, the 80Legs web crawler gives you the opportunity to see what a paid crawler may have to offer while experiencing some of the benefits. Another very good website crawler that has a few tricks up its sleeve is the Beam Us Up SEO spider. BUU, as it is sometimes known, can identify common SEO errors that would otherwise take a long time to capture. It also comes with the added benefit of being able to export straight to Excel—an option that other products often do not offer. The BUU has the usual duplication detector, but it doesn’t have limits on how much you can crawl, which isn’t something that all free website crawlers can boast. According to UiPath, their crawler is 40 percent faster than the competition in terms of automation design and deployment. You can automate your web crawls using Windows and use some of their customizable tools to obtain the data that you are after. If you want your choice of web crawler to be extra secure, then this might be the option for you. UiPath is trusted by over 40 government agencies. A bit more advanced than some of the other free web crawlers, Scrapy comes with plenty of advantages. Their open-source framework allows you to create your own guidelines for the data you want to extract, then quickly delivers the information. You can get your hands on all sorts of information using Scrapy, from data mining to API’s. They also offer built-in support and a tutorial to help get you on the right path. Scrapy may be more advanced and have a steeper learning curve, but it’s free, and it works. Theses four crawlers above are all great examples of how web crawlers that don’t cost a dime are still worth using. If you want something that is a bit more stripped back, then they can all be put to great use.